Best results and absolute comfort for the patient and the physician. 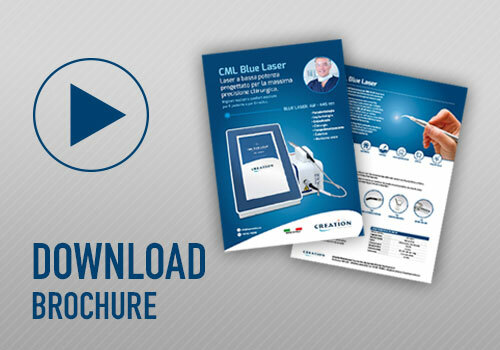 The 445nm visible light emitted by the CML BLUE laser is more e ective than the conventional infra-red light commonly used in the surgery on soft tissues applications. The light emitted is absorbed mostly by the tissues and by the haemoglobin content of the tissue; the e ect is limited to the surface and the area concerned is spotted. For this very reason, the CML BLUE lasers used in surgery require much lower power for diminished tissue heating, increased hemostatic action and accurate control of the area a ected by the laser light, also in the absence of contact between the tissue and the optical bre. 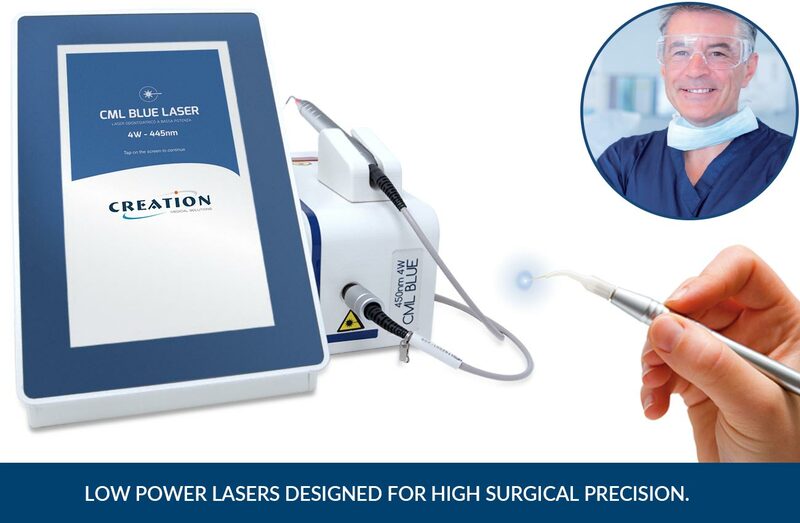 The diode laser CML Blue is an advanced, state-of-the-art device brought to life by the Creation Medical Laser expertise and developed with utmost care to ensure the best possible results and maximum comfort for the patient and operator. • Pre-set treatments with on-screen instructions. • Simple setting up and saving of treatments. • Wide range of accessories and consumables available.